OHAI! It's Monday, so have some car pictures. Enjoy. Hey look, an Abarth 595 on the Nordschleife. Ford I want this badly. If only all taxis were V8 powered German race cars. Le Sigh. 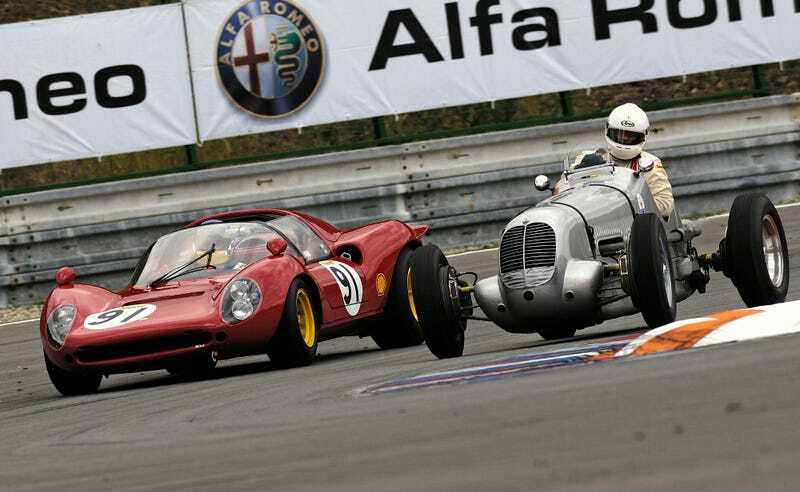 Speaking of 6CMs, when this race was over the Ferrari 625 TR was only 0.003 seconds faster than the Maserati. Not bad for a car that is two decades older. Super duper amazing wallpaper here.